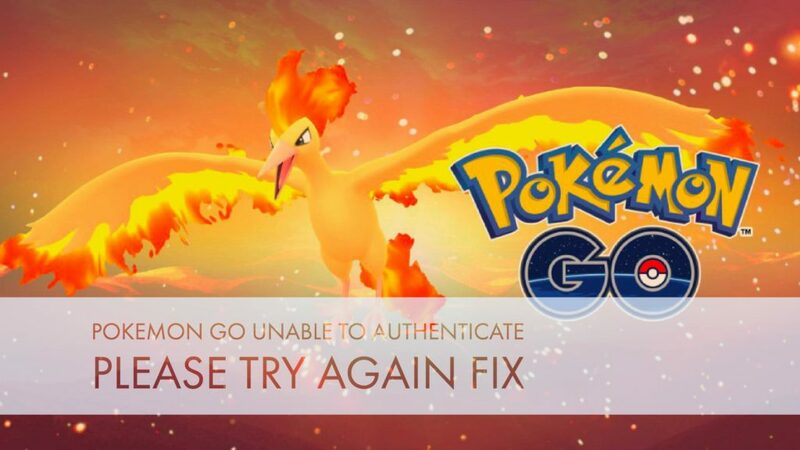 If you have been playing Pokemon Go for a decent period of time, then you sure would have encountered an error like “Pokemon Go unable to authenticate. Please try again”. I have seen that recently the number of people facing this error has inly increased. So I thought of giving out a detailed guide which can help you guys eliminate the Pokemon Go unable to authenticate error. Go ahead and check out my take on why this error occurs and how you can solve it. Starting for the basics, check if your Pokemon Go is updated with the latest version. If not, then download the latest version and check if the error shoots again. Shut down all the apps. Restart the smartphone and restart mobile data twice or thrice. Start Pokemon Go. Delete cache of the app. Uninstall the app and install it again. Now try to start Pokemon Go. For iOS users, if you’re still using iOS 9 then the error can not be solved. Upgrade to iOS 10 and you won’t see the error again. The terms of conditions might have been updated. So log out of the account and log in again. Accept the new TOC & start playing. Make sure that your internet is running smooth, some users have also claimed that the weak internet issue lead to this error. If you have recently updated the game and “Unable to authenticate” error comes right after the update, then simply wait. There are just too many people trying to connect to the game which might be causing issues. Some android users might face an issue when the Pokemon Go will get stuck at the login screen. In such a case, make sure that the background data is enabled. If you have tried all the above suggestions and you still can’t make through it, then there’s a good chance that you may have been banned. You have been using third party hacks which are not official. Your device may not be compatible anymore. Your smartphone has been rooted or jailbroken. In some cases, this might be a technical glitch which gets resolved automatically after 2-3 days. I have listed out most of the possible scenarios, which can result in Pokemon Go unable to authenticate error. I’m hopeful that at least one of the above suggestions will help you get through the error. But if it doesn’t, then you can go an extra mile and try some deep stuff. I’m going to attach a video below which will guide you through. But I seriously won’t recommend this method because if you mess this up, you’re gonna have a bad time. In any case, let me know if my article helped you recover from the Pokemon Go unable to authenticate error. Cheers!